Revolving pin vice with Reversible Collets. 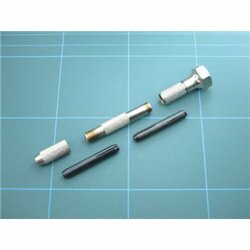 A super quality pin vice which has 2 double ended collets which cover sizes Zero - 3mm. There’s a saying…”the right tool for the right job” and this is very true in the modelling world. This may explain why there are a vast number of specialist tools available, ensuring that you can find the one that you are looking for to make the job easier, or to achieve a better end result. Here, from Expotools, we have the ideal tool for drilling small holes accurately and with fine control. Fit the selected drill bit (not included) into the device, place at the desired location and turn! The tool comes with 2 interchangeable collets that enable drill bits of 0mm – 3mm to be accommodated. 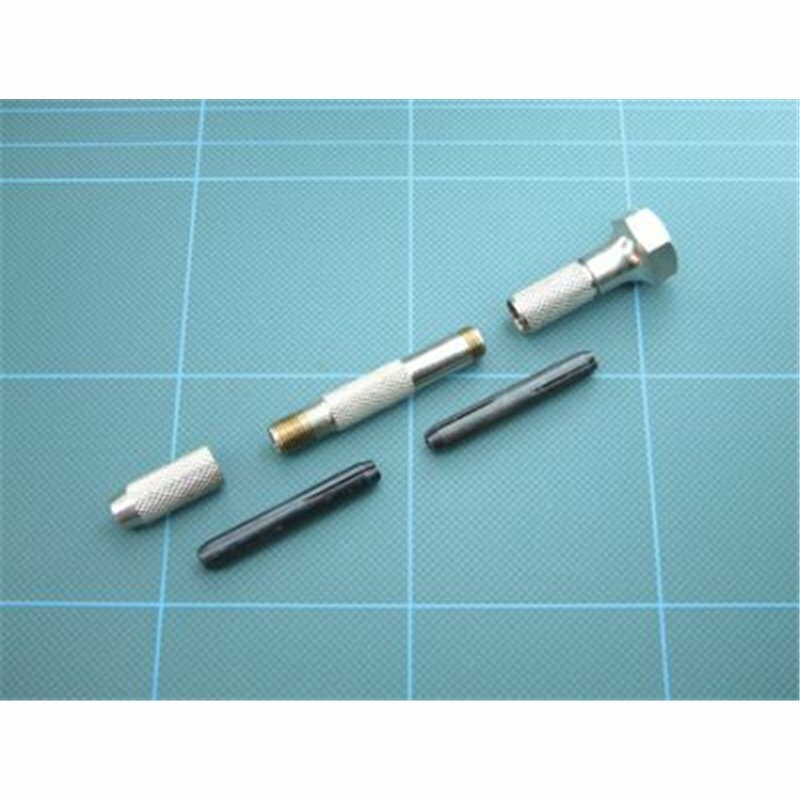 75012 4 Jaw Pin Vice, GM610 Double0ended Pin ViceThere’s a saying…”the right tool for the right job” and this is very true in the modelling world. Suitable drills: GM648 Microbox Drills 0.